Radar detectors are a good investment for drivers who cross the speed limits and want to take all possible means to avoid getting fined. With radar detectors available from $35 to $999, it is always a good idea to have one in the car. Some of the best radar detectors are available for as low as 200 $. But if radar detectors are illegal in your area, it will end up in a fine and in the seizure of your device. Is Use of a Radar Detector Legal in Canada? Are Radar Detectors Legal in the UK? Are Radar detectors Legal in Ireland? As mentioned earlier, radar detector laws vary from state to state. 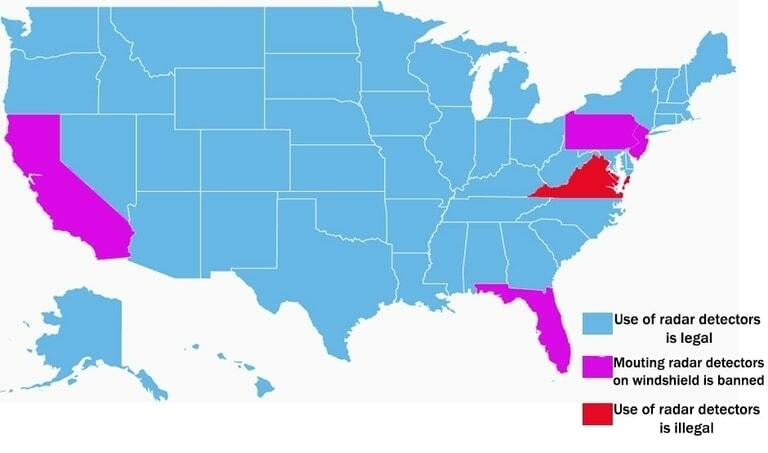 Some states permit their use while some others don’t. Some states will ticket you if you mount it on the windshield. So here are the basic radar detector laws that you should know. Are radar detectors legal in the United States? The simple answer is YES unless you are in Virginia or Washington DC. 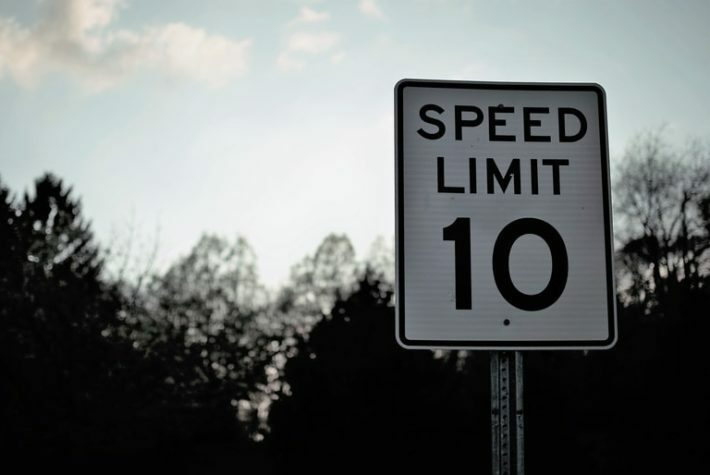 The goal of speeding tickets is to make drivers go slower than the limit, and radar detectors do just the same. So radar detectors are legal except in those two states. However, mounting something to the windshield is banned in California and Minnesota. It should be noted that these laws are applicable to private vehicles only. Radar detectors are illegal in all commercial vehicles, and in all vehicles that have a weight of 18,000 pounds or more under the US Federal law. This is since the drivers of heavy vehicles are considered as professional drivers and hence different laws apply to them. It is illegal to use a radar detector in US military bases. Their use in military bases will be considered as a security breach and so the problems will be big. It is legal to own and use a radar detector in California. But mounting something on the windshield that might block driver’s vision is banned. So if you mount your radar detector on the windshield of your vehicle, chances of getting a fine are high. Radar detectors are legal to use in New York State. However, they are illegal to use in vehicles of more than 18,000 pounds under section 397-a of the New York State Vehicle and Traffic Law. The ownership and use of radar detectors are legal in Florida. Their use in commercial vehicles is banned. Radar Detectors are legal in Illinois. However, radar and laser jammers are illegal. So radar detectors which do not have radar or laser jammers are legal. For Ohio, radar detectors are legal as long as they do not have radar or laser jammers. Radar detectors are illegal in Virginia. It is illegal to drive a vehicle that has any device used to detect any method used by police officers to measure the speed of vehicles. For Pennsylvania, Radar detectors are legal. They are illegal in commercial vehicles. In the case of Canada, radar detectors are prohibited in most places. The areas where the use of a radar detector is legal in Canada are Alberta, British Columbia, and Saskatchewan. In Saskatchewan, use of a radar detector is permitted for passenger vehicles but prohibited for use by commercial vehicles. A few years back, there was a talk that radar and laser detectors may become illegal in the UK. However, this did not take place and hence radar detectors are legal in the UK. Radar detectors are illegal in Ireland. Even the presence of one in the vehicle can attract a fine. France, Turkey, Finland, Sweden, Portugal, Hungary, Norway, Switzerland, Greece, etc. has banned the use of radar detectors. Countries like Russia, Romania, Bulgaria, etc. allow the use of radar detectors. While radar detectors give ‘license’ to go at unsafe speeds, one cannot ignore that they help us avoid getting fined. Radar detectors are available from $35 to $999. Also, police radar detector apps are available for smartphones. But it is important to know if they are legal or not first. While most of the states in the US permit their use, Virginia and Washington DC have banned them. Using radar detectors where they are illegal can cause even bigger fines and even suspension of license. So you should avoid using them in such areas and occasions at any cost.